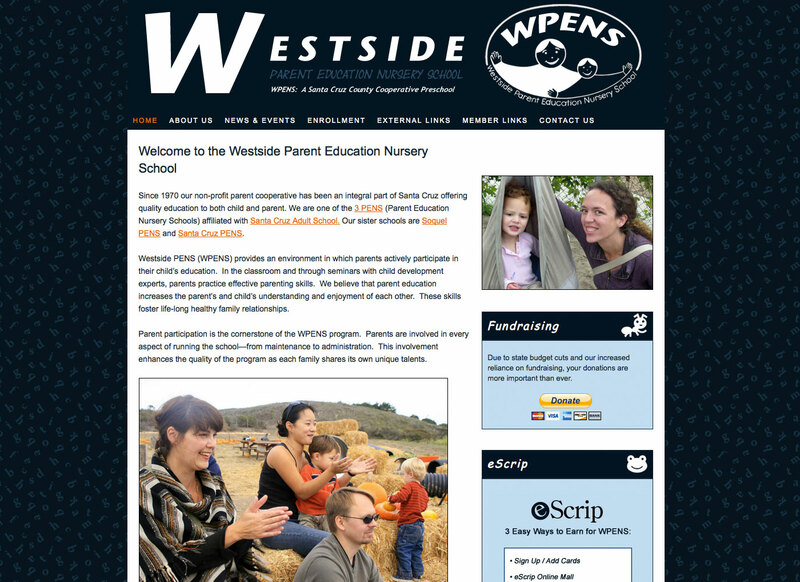 The website for Westside Parent Education Nursery School’s was another renovation project, but one that allowed us to play on the cuter side of the design spectrum. 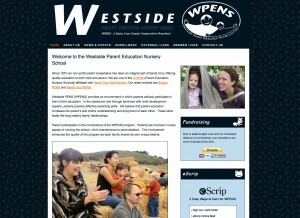 WPENS is a coop nursery school. The teachers stay the same, but each year parents take on different administrative duties to keep the school running. Naturally, there had been a lot of different hands touching the website over the years, but it remained in skeletal html form. Few of the parents could penetrate the raw code to make changes. And of course the last thing any organization wants is poor branding on the web. As part of our redesign, we spruced up the logo to make it look crisper and more professional. The rest was simply about reorganization and putting the site into WordPress so future parents could continue to update the site as needed. The school term following the website’s relaunch, there was one consistent referral mention on applications. Saw your website. And not only did the site help to increase enrollment, it also made fundraising efforts—vital to this kind of non-profit—a whole lot easier!